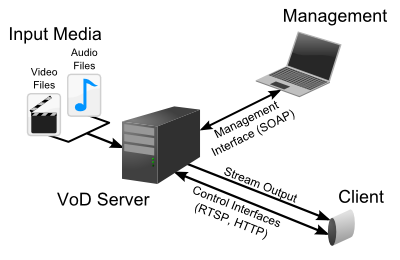 Video on demand (VoD) is a system which allows end-users to watch programs in real time or download programs and watch them later. Implement your own branded multimedia screen video -on- demand platform in just a single click! Get everything you need to implement your own multimedia screen OTT Video platform with MAXWELL STREAMING! From development hosting and managing your IT infrastructure to complete VOD Sofware solutions with HTML 5 based online video player. The content will be protected and there are no labels on websites and mobile apps are developed under your domain logo and brand name. An organization is united to host and manage the IT infrastructures. Maxwell Streaming supports all forms of monetizations for your content, from video on demand to live streaming with options like cost per click. Maxwell Streaming is fully integrated to manipulate and safeguard your platform against all threats. Cyber threats that currently affect huge losses to the entertainment industry.